Hold your horses: this photo was taken in late June! Yesterday, my skin burned rosy as I jogged under clear skies in 70-degree weather. It’s nearly mid-April, and sprinklers soak the lawns. Tulips bloom. Trees blossom. So what can you plant right now? First of all, before we discuss what you can plant, put these seeds back where you found them: beans, squash and pumpkins, cucumbers, and corn. Also, tomato, pepper, and eggplant need to stay in the greenhouse awhile longer. All the fun stuff, right? Be patient… there’s still a month left. Relax! The list of seasonal items is still long! First off, have you started your peas and lettuce yet? There’s still time. Both peas and lettuce can start mid-March. Actually, St. Patrick’s Day is the traditional time to start those. If you sow them now, though, you still have 60 days until the weather starts to turn hot in late June. But hurry. Direct-sow peas into the ground; they’re much happier that way. Be sure to plant them next to something they can climb, such as a chain link fence. If they sprout and have nothing to climb, they just sit there and sulk. 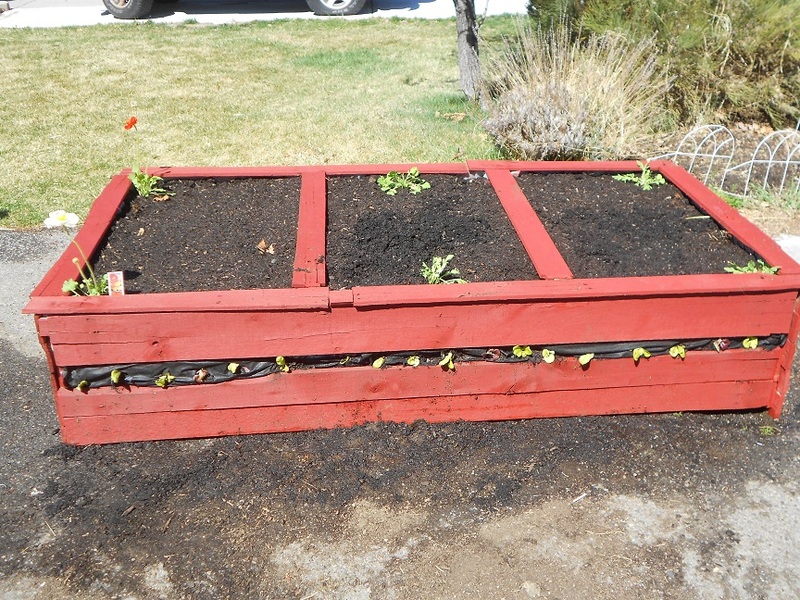 Lettuce can grow in dirt as shallow as 6 inches, making it ideal for small planters. Loosen the soil, or fill the planter with potting soil. Sprinkle lettuce seed finely over the soil, and stir it around with your hand to cover it. Water gently. As the lettuce emerges, thin seedlings to give the others room to grow. Don’t worry about frosts. Both lettuce and peas live right through it. Next, we have our other cold weather crops. These include root crops such as carrots, beets, turnips, and radishes. Brassicas like broccoli, cauliflower, and Brussels sprouts are in season. 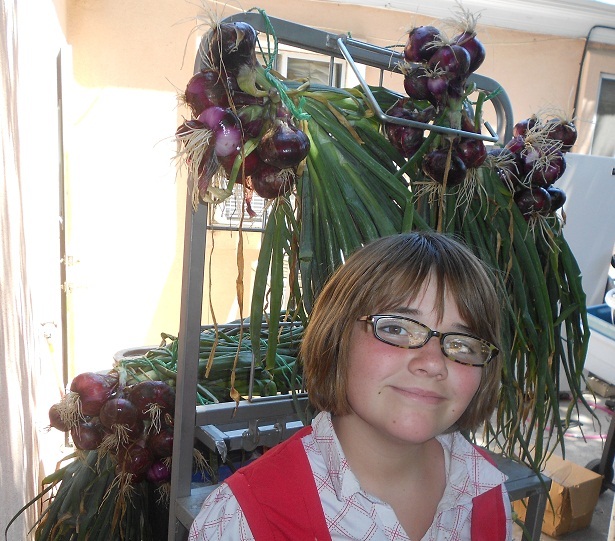 Alliums such as onions and leeks grow great right now. And greens, like spinach, kale, and swiss chard grow great this time of year. Both carrots and beets like loamy, loose soil. Deep planter boxes, with at least 12 inches of soil, work well for these. Or you can sow them directly into fine dirt with no pebbles. 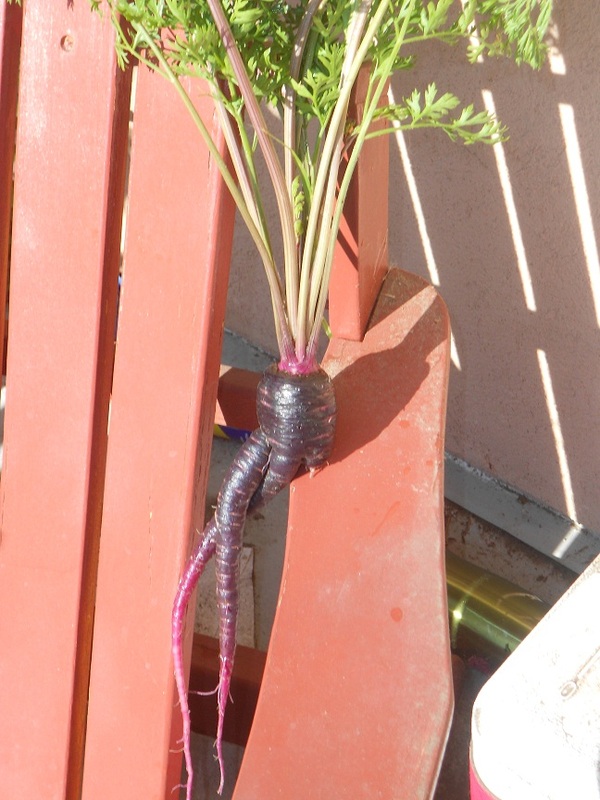 Beet seeds are large and visible, but carrots are very fine and easy to overdo. Some gardeners mix carrot seeds with radish seeds to help them sow. The radish matures in 30 days while the carrot takes 70-90. You can pull your radishes within a month, giving the carrots more room to grow. Keep the soil moist but not flooded, and don’t let it dry out. Beets won’t germinate well if the soil crusts over, and delicate carrot seedlings can’t poke through dry soil. Once they’re up, thin them to 3 or more inches apart. This is easiest done by snipping the unwanted seedlings at root level, with fine-tipped scissors. You can harvest your beets in about 45 days, and be sure to do so before they become large and woody. Carrots take longer, but are worth it. You should be able to see a well rounded top to your carrot, poking just above the soil, when it’s about harvest time. 18 inches of loose potting mix, perfect for root crops. Most brassicas are easy to start indoors, and are transplanted out around this time of year, but that’s not always necessary. Be sure to space your brassicas well, giving them at least a square foot apiece, for a good yield. Alliums are about the hardiest crop I know of. Though garlic is planted in the fall and overwinters for a summer harvest, you can plant onions, leeks, and shallots now. Onions are easiest planted as sets, which are small dried onions sold bulk in bags. Simply sink each set a couple of inches into the ground, with the root end down and the pointy end up, and cover with dirt. For specialty onions like cipollinis, you may have to sow the seed yourself. Start these now; don’t wait. Sprinkle them in a cup of loose potting soil or seed starting mix, and keep damp until they sprout. Onion seedlings can be separated gently then planted individually in your outdoor garden with the desired spacing. Leeks are also often started from seed, and transplanted in the same way. Shallots start as seed or sets, and though they’re expensive in grocery stores, they’re nearly as easy to grow as a plain old onion. And one thing to remember when buying seed: a scallion is just an immature onion. If you plant scallions and wait too long, you will get an onion. Swiss chard, planted in the spring and thriving in the July heat. 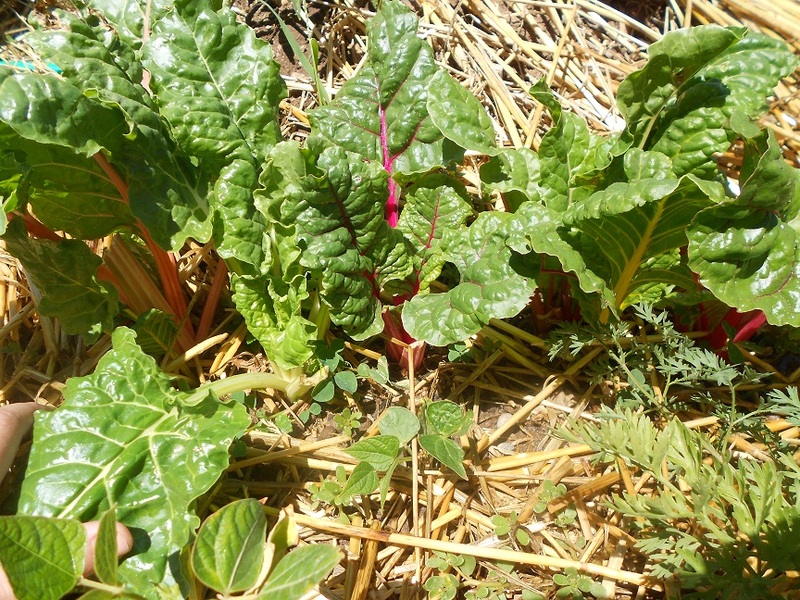 Greens like spinach and Swiss chard (also called silverbeet) can grow in as little as 6 inches of soil. This makes them ideal for planter boxes or flower pots. Dig up the ground to loosen the soil, mix in a bit of compost or aged manure, and smooth down. 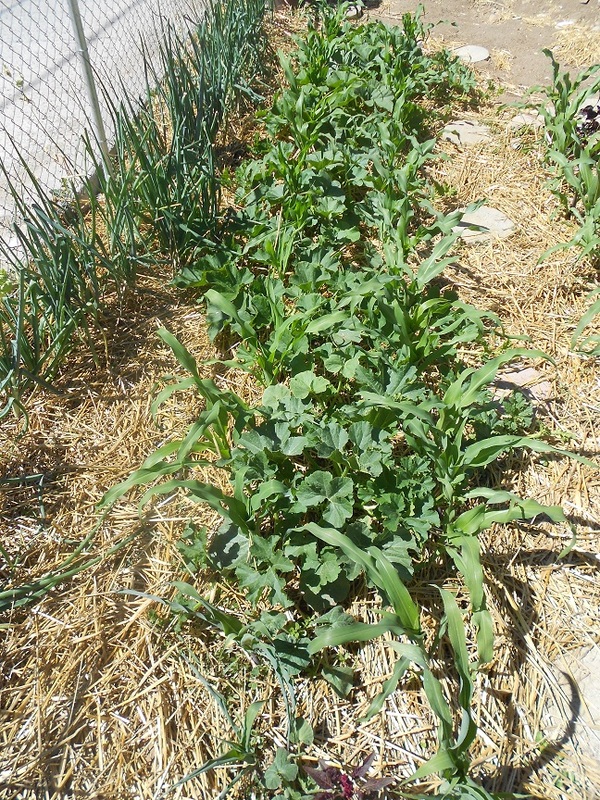 Spinach and chard have large seeds, which make them easy to space. Set these on the soil about 6 inches or so apart, and use a pencil or stick to bury about ½ inch down. Cover with soil and water well. 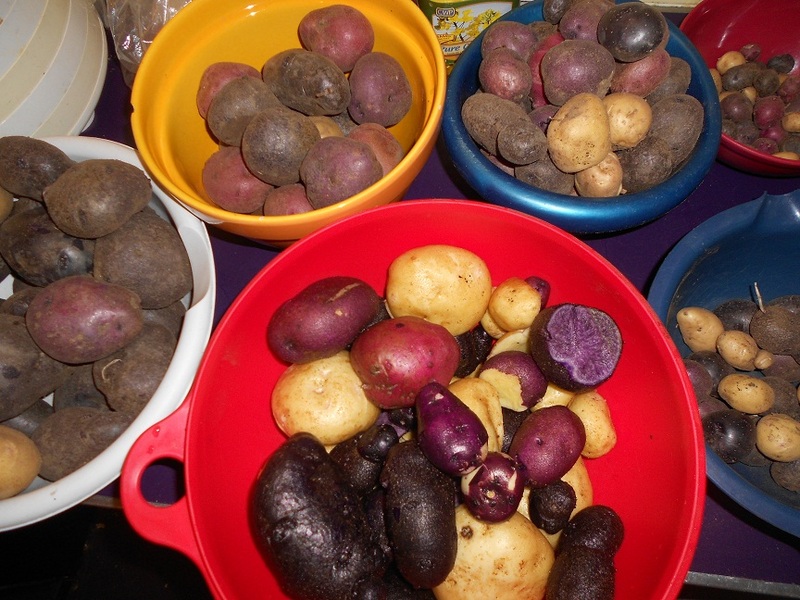 Last year’s potato harvest, mid-September. What about potatoes? Many gardeners start their potatoes in the ground now, since they won’t even emerge for at least two weeks. Though this is your perogative, I prefer to start my potatoes around May 1st. Though the root will live through a frost, potatoes are a nightshade, in the same family as tomatoes, peppers, and eggplant. And they freeze just as easily as tomatoes, peppers, and eggplant. Considering most potatoes can grow well within the shortest seasons, I prefer to plant them when I know a frost won’t kill them back to the root and force them to start all over again. I should know; I grew up in Idaho, where the last frost can be mid-June, with the first autumn frost in the beginning of September. 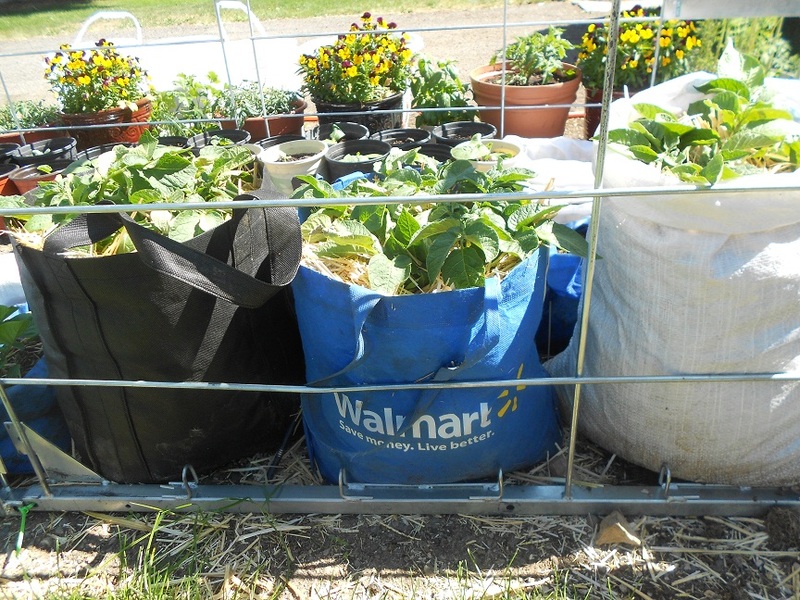 If you plant potatoes in portable bags, however, and are willing to carry them in on frosty nights, you can start them now. So which of these should you plant now? The ones you’ll eat, of course! If you know your family won’t eat beets, save the space for carrots. 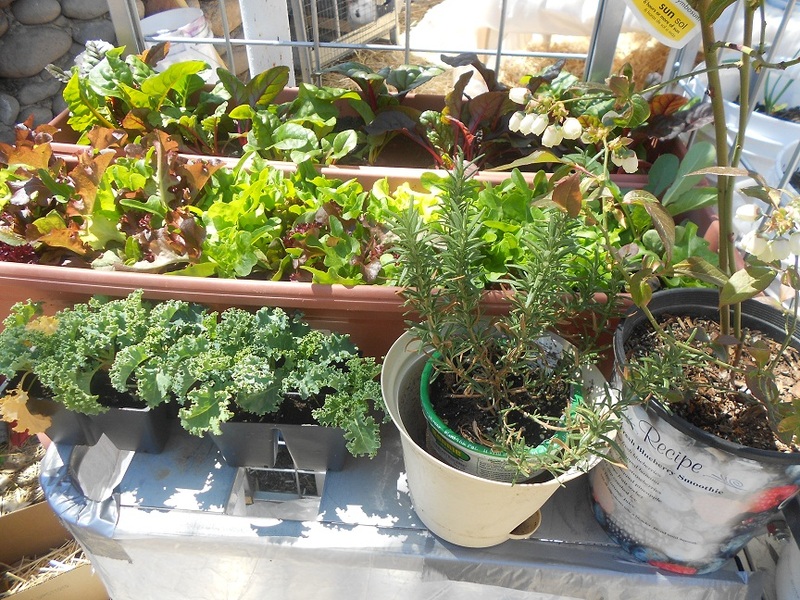 And remember to save tons of space for your warm weather crops next month! Questions? Reply to this post, or send me a message on our Facebook page!